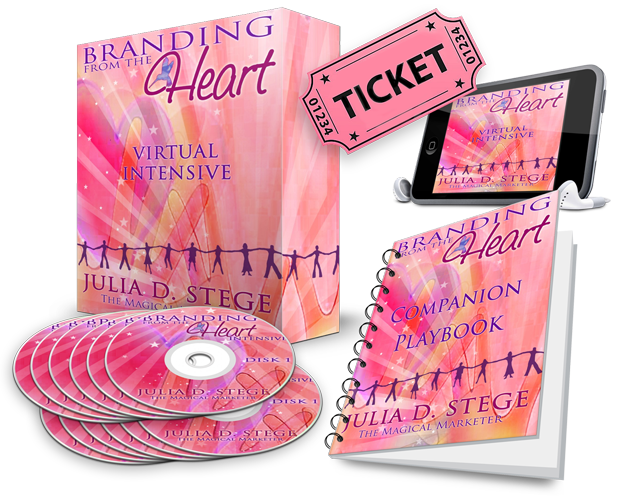 My name is Julia D. Stege, MFA, The Magical Marketer and my mission is to help you with branding, websites, and marketing that are a true reflection of your mission, purpose and personality. We offer Attracting Marketing Services at various levels, from Virtual Home Study Courses, to Live Webinar Intensives, to Personalized Consulting and Branding Services, in addition to Custom Graphic and Website Designs. This page is a directory of currently available Virtual Home Study Courses from Magical Marketing Seminars. 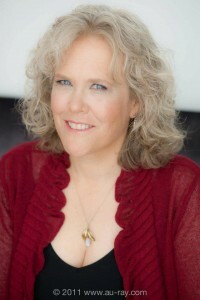 We promise you won’t find anything like these courses for helping influential spiritual business women, new-paradigm thinkers, heart-centered entrepreneurs and spiritually oriented practitioners to attract perfect customers authentically. I have thought over the details of how I developed my own loyal fan base and attract great clients with the resources to pay me, and I’d like to walk you through the same processes I use to attract perfect customers in a pinch, without using hypey marketing strategies or brainwashing! 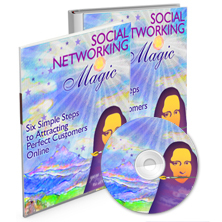 This 40-Day program helps you master Strategic Attraction Planning and develop the habit of Attractive Thinking so that you may become an irresistible client magnet. Is it time to make your brand a better representation of who you really are? If you are ready to get your message out to the world in a bigger way, making authentic branding the foundation for all of your marketing activities will ensure that you can attract the exact right people to your business. 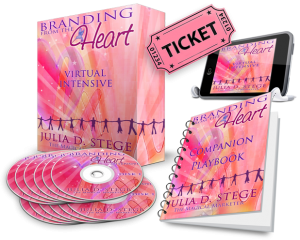 I created the Branding from the HeartTM Program to help you market your business in a way that is Fun, Fulfilling and Transformative for you, one that you will LOVE ♥ because it simply comes from your heart.